This outfit was supposed to look a little Edie Sedgwick but I'm not too sure. It has a 60s vibe but I feel like something is missing, maybe a beehive? This coat has been reduced even more in the sale now so if you're an XS you can snap it up for a bargain. I was worried that I wouldn't get much wear from a coat with a print but I've worn this pretty much every day since I bought it. It definitely makes me feel a bit rock and roll. Having a few nights in this week and a fairly quiet weekend so look out for lots of posts over the next week on here and Where Are My Knees? Oh my - love that coat. 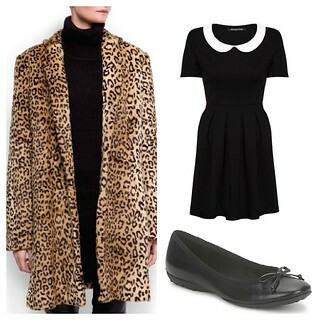 A beehive would make the whole outfit look even more fab. Go for it Joanna! I thought I wouldn't wear this much but I never take it off. I love the dress & coat combo looks good on you! 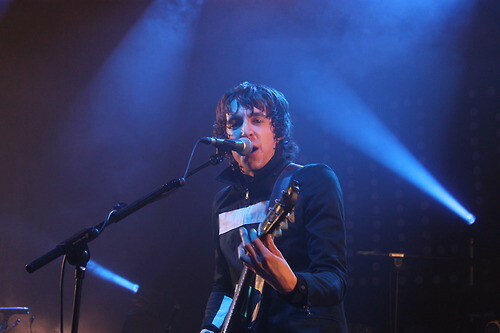 LOVE this outfit, my friends were at the same gig as you, I wonder if you saw them, haha! This outfit is so lovely...definitely very Edie! 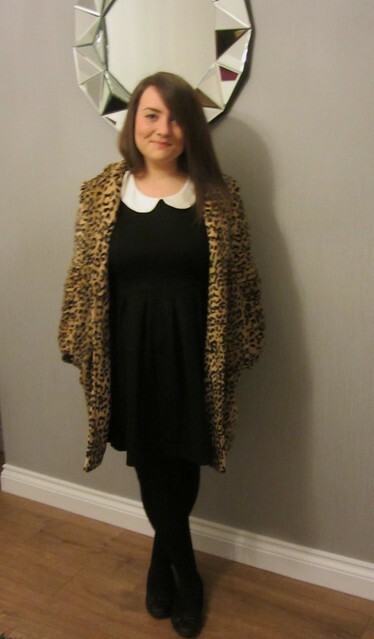 Leopard print + 60s is a great combo, love both the jacket and dress! Miles is awesome, love Django Django too though! Really enjoyed the NME lineup a couple of years ago with Chapel Club and the Joy Formidable, but haven't bothered with it since then.